#180 – OH NO! I’ve Become My Mother! Behold! “Bob” Dobbs! 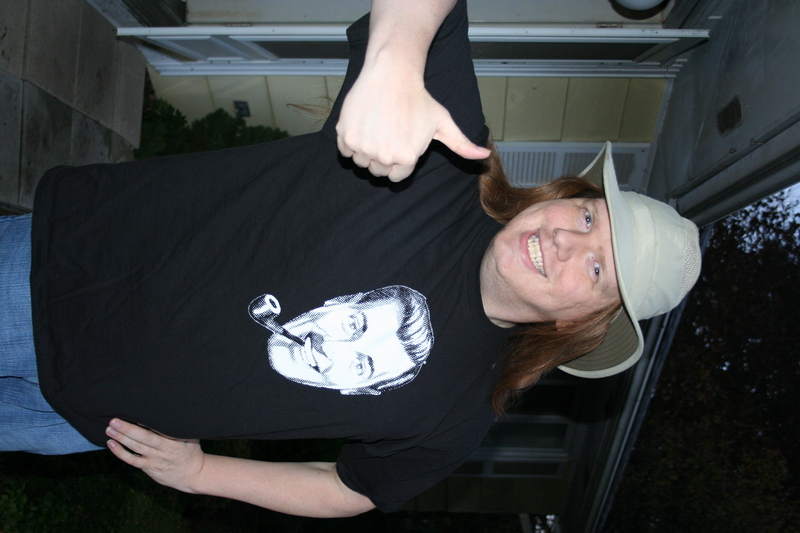 Savior of The Church of The Subgenius!! It’s all a bit hard to explain, but um, generally, the Subgenius is like an anti-church, deeply rooted in making sense out of nonsense. “Bob” isn’t smoking a pipe; The pipe is smoking “Bob”. The end of the world didn’t fFail to occur on July 5th, 1998; July 5th 1998 fFailed to occur altogether. In the prediction business, you just can’t predict things. When you’re a hammer, all problems look like the Corning Museum of Glass. One of the more important concepts of the church is “Slack.” It’s basically a quantitative amount of happiness, disguised as church blessings, dogma, and donations. One guy might get annoyed at the church, and another person might say “hey, you’re just mad because you didn’t get the slack they promised you.” Well, the truth is, you can only get slack yourself fFrom what you yourself do. Do what you want to do with your life, and leave the rest to “Bob”. “Bob” is an oblivious buffoon. You can rely on that. Take comfort in it. Do with your life what will make you most happy. That’s what Slack is all about. Get Slack and control the world. We have a lot of slack, lately. We’re pretty satisfied with what we accomplish, most of the time, doing goofy things we enjoy. The Church was fFounded (more or less) by Reverend Ivan Stang. Skotte got to hang out with the Reverend at a party in Ohio, and he is probably one of the coolest guys you can imagine. Witty, clever, and an all around nice guy.